We have a brand new workshop for you this month! 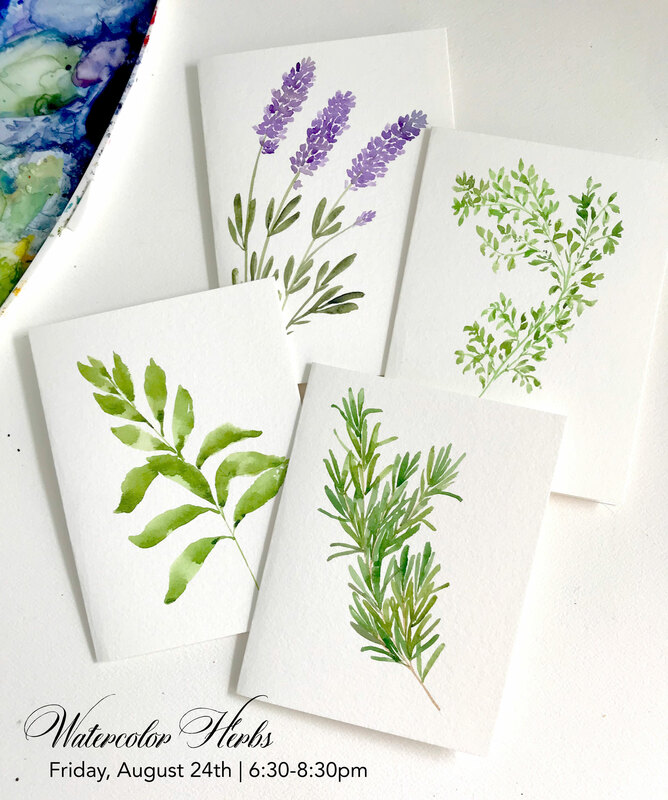 Join resident watercolor artist Brianna Showalter on Friday, August 24th to learn tips and techniques for painting herbs with watercolors. You’ll create a set of notecards to take home, and whether you choose to frame them or mail them, you’ll love what you make and spending a night with good people, good food, and good energy. Click here to learn more and to register!